On Saturday, March 9, we honored Mindy Evans-Williams with the Hope Through Caring Award at our annual Hope Through Caring Gala. Mindy has been living with ALS for over two decades, supported by the Foundation every step of the way. 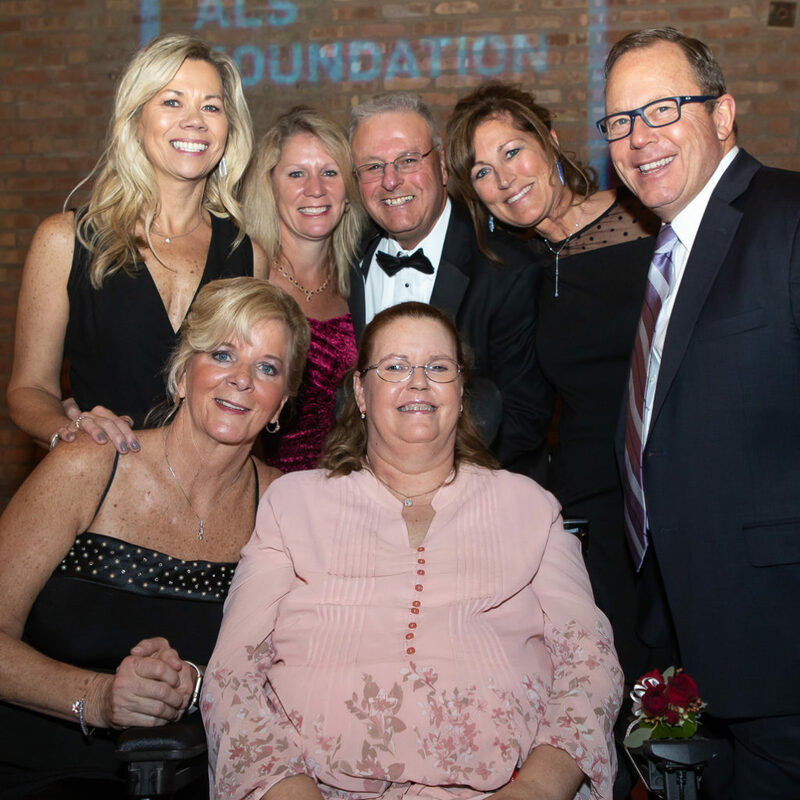 Recently, Mindy found herself in a position to give back and chose to support the Les Turner ALS Foundation so others living with ALS could benefit from the same programs she has throughout her journey with ALS. In a deeply personal moment between not just a social worker and a person living with ALS, but between two friends who have known each other for over 20 years, our Director of Social Services, Laurie B. Fieldman, LCSW, presented Mindy with her award. “I met Mindy Evans-Williams in 1998 when she attended a support group that I co-facilitated. Her amazing attitude and sense of humor brought hope to everyone there. 21 years later, she still does that in more ways than she knows,” remarks Laurie. As Mindy remembers, when she was first diagnosed, she knew nothing about ALS. And that’s where the Les Turner ALS Foundation stepped in. We not only guided Mindy with our expertise and support, but we were also able to provide access to critical items that made Mindy’s life easier, like motorized wheelchairs, wheelchair-accessible vans, Hoyer lifts and more. “When Mindy recently found out that she was going to be in a position to pay it forward to others with ALS, she jumped at the opportunity. Instead of dwelling on how much of a struggle life has been for this single mom of a special needs child, Mindy immediately looked outward to her fellow ALS warriors and decided to pay it forward,” says Laurie. 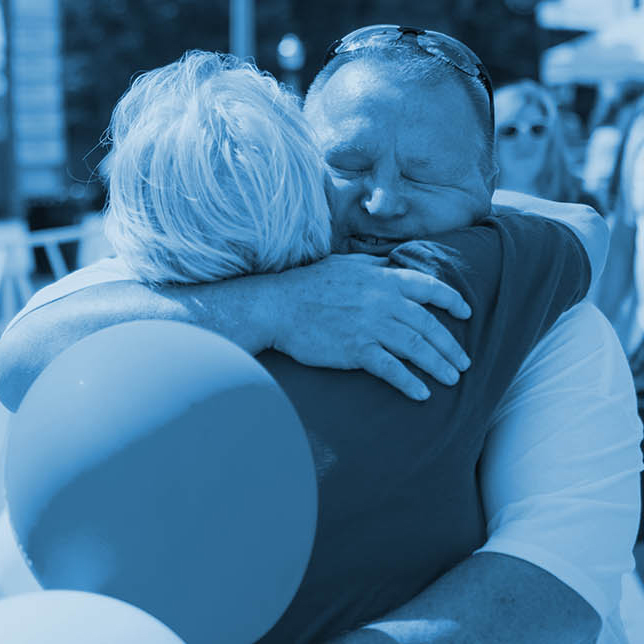 For Mindy, the opportunity to help other people living with ALS through difficult times and attempt to lessen the burden they feel was a MUST in her eyes. She believes strongly in the adage, it is better to give than to receive. There are numerous ways Mindy has chosen to pay it forward, such as donating funds to provide grants to our families. She even donated multiple tickets for people living with ALS to use her suite at Guaranteed Rate Field to watch her beloved Chicago White Sox – a rare, accessible and free night out for members of our community.